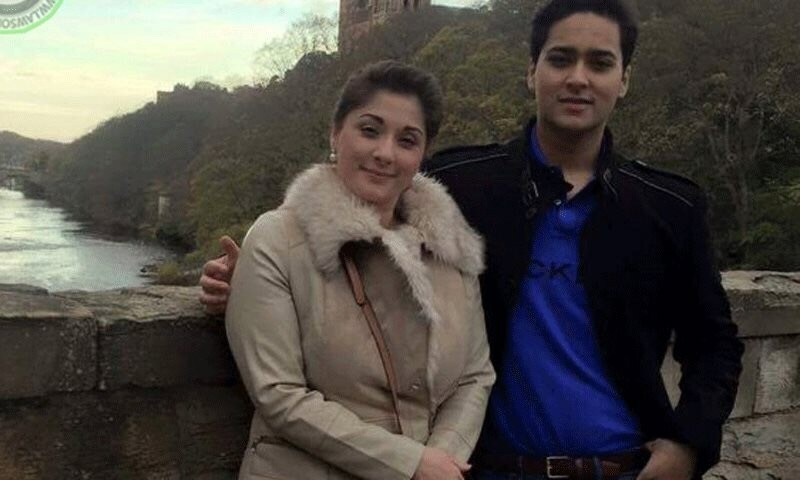 File photo Maryam Nawaz with her son Muhammad Junaid Safdar. According to the nomination papers submitted at ECP, Maryam Nawaz mentioned her 23-year-old son, Muhammad Junaid Safdar, as one of her dependents. Many on twitter mocked her saying her grandfather and her brothers were running businesses worth billions of rupees at half the age of her son. Maryam’s 23 years old son is dependent on her but her late grandfather was running business at 11 & Hussain Nawaz bought London flats at 13. The family seems to be losing its touch. “It looks like the family is losing its touch”, said one person. Maryam Nawaz and her two brothers Hassan and Hussain Nawaz are facing corruption and asset beyond means cases in the National Accountability Bureau court in Pakistan. It is alleged that the properties in London actually belong to her father and three-times prime minister of Pakistan, Mr. Nawaz Sharif. Sharif family and their ownership of four flats worth billions of rupees in the upscale area of London, first came in to surface in the leaked documents of Panama’s law firm, Mossack Fonseca. The leaks confirmed that Ms. Maryam Nawaz was actually the beneficial owner of the said properties. Before the leaks the family had always denied ownership of the flats, despite it being a common knowledge. Nawaz Sharif maintains that the properties belong to his children and who bought them with their hard-earned money while doing business in the UK. However, the flats are in use of the Sharif family since 1990s. At the time, both Hassan and Hussain Sharifs were minors, and they could not have owned the flats or done any business to buy those flats, argue legal experts. Moreover, even if Hassan and Hussain did buy those flats off of the money from their business, where did the seed money for such a huge business come from. The Sharifs have yet to answer these basic questions.